To buy or not to buy a house, that’s the question that millions of millennials ask themselves every year. Supposedly millennials are just bucking the trend of generations past… Getting married later and waiting longer to buy a home just to break their parents habits. But there may be more to the story than meets the eye. Purchasing a Home as a Millennial may seem to be a difficult task, but with NSH Mortgage broker in Florida, receiving a home loan has never been easier. So who are millennials? They’re generally defined as the generation of people who were born between 1982-2000, give or take a few years. It’s difficult to draw a hard line between millennials and Generation Z until the millennial cohort fully “comes of age” (when all or most people are over 30). Millennials are expected to become the fastest growing and largest group of homebuyers over the next 10-15 years. There are 87 million millennials, and according to Fannie Mae 91% of them intend to become homebuyers in the future. They are also expected to form more than 20 million households by 2025! Unfortunately, the post-2008 housing market presents its own unique set of challenges to hopeful first time homeowners. “Millennials are the first generation to come of age in a post-almost-apocalyptic housing market, where lenders, eight years later, are still paying billions in reparations for mortgage misconduct and outright fraud” says CNBC real estate correspondent Diana Olick. ⅔ of Millennials haven’t even reached 30 yet. In fact, 22% of Millennials are still under 25! The 2014 Fannie Mae housing survey (one of the largest underwriters for loans in the US) revealed that 49% of Millennials who are currently renting say their next move is to purchase a home. Despite being faced with a tough economy during their coming of age, and facing a post-2008 housing market that is still very difficult, Millennials seem determined to own a place of their own. In fact, ⅔ surveyed by Fannie Mae actually said that now is a good time to buy! 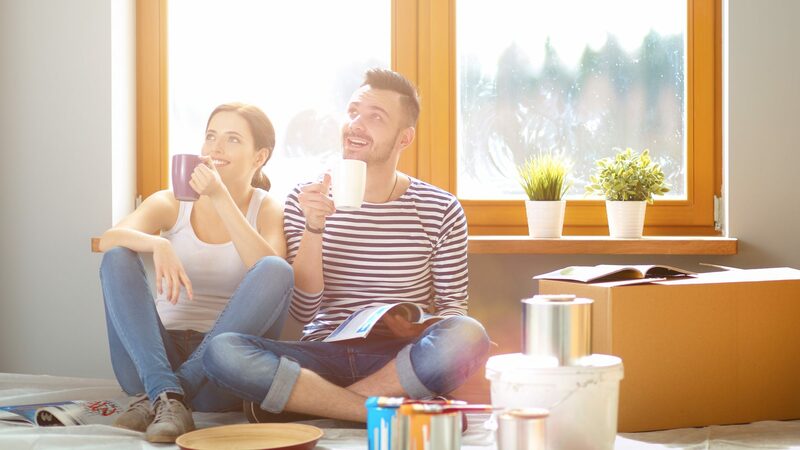 Why Buy a Home as a Millennial? Just because they want to buy, doesn’t mean that it’s easy for purchasing a home as a millennial though. Let’s take a look at, and deconstruct, some of the barriers to entry for purchasing a home as a millennial. ⅓ of Millennials don’t even meet the industry standard FICO score of 620. By far the #1 reason millennials don’t purchase homes is their credit score. Thanks to the 2008 housing crisis, lenders are subject to much stricter regulations. This is evidenced by the Department of Justice’s continued litigation of loan originators, huge companies like Goldman Sachs are still paying $5 BILLION settlements. Homeownership has declined across all age groups since 2008. The 2015 homeownership rate is 63.5% according to the US Census, down for the 11th year in a row. Actually, 63% is barely treading water above the previous 50 year low. According to Jaret Seiberg of Guggenheim Securities, as this number continues to fall it will draw more regulatory attention. Lawmakers may re-evaluate the balance of consumer protections and credit availability. In fact, recent data already demonstrates this. Through 2015 Ellie Mae has been processing mortgages with lower and lower FICO scores. Data from Zillow’s Evolving First Time Homebuyer report also confirm this trend. According to the Zillow report, FICO scores have been declining for first time homebuyers since 2010. New loans like ones backed by the Federal Housing Administration (a government agency that backs home and car loans) closed with an average FICO score of 688. Most Millennials struggle to save more than $1,000, so it shouldn’t be a surprise that another big hurdle to overcome is simply saving up a lump sum. It’s not that they’re bad savers, it’s just hard to save a down payment with an average salary of $30,000. With average starter homes costing $190,000, and saving 5% per year (the national average), it would take a Millennial more than 6 years to save for the down payment (a little over $13,000). It’s no easy feat to save for a down payment. Millennials may be contributing to this hurdle too. A 2015 Fannie Mae survey revealed that more than 40% of millennials don’t know what lenders expect of them for down payments. 73% of Millennials were also not aware of down payment options ranging from 3%-5% of the home’s purchase price! “Many millennials believe they are unable to afford homes, when really many of them are unaware of the different financing options that exist — particularly those that allow for a down payment of 6% or less,” says Chris Ling, mortgage manager at NerdWallet. Most big name lenders will underwrite loans with down payments ranging from 0%-6%. Actually, 30% of all houses on the market are purchased with a down payment of less than 3%! These low down payment loans have some downsides (higher insurance premiums, for example), but they are quickly becoming a popular option to buy first a home as a millennial. With a little re-working of their budget, most Millennials living in most places actually can afford the monthly mortgage payments of a starter home. Assuming an income of $2,940/month and an estimated mortgage payments of $945, millennial home buyers would reach a debt-to-income ratio of 32%. This is squarely within the 28%-36% range that most lenders look for. Using a mortgage calculator to account for property taxes, this ratio would be more like 37% debt-to-income which is just above the high end but definitely still workable. What about other debt? The latest Federal Survey of Consumer Finances found that 42% of Millennials have student loan debt and 35% had car debt (at an average of $17,200 and $11,000 respectively). If this is you, don’t fret! You can still buy a home as a Millennial. Actually, student debt doesn’t seem to have much of an effect at all on homeownership percentages. In fact, higher education levels correlate to higher homeownership rates according to our research. According to a Zillow analysis of the Panel Study of Income Dynamics, homeownership rates increase for every level of higher education. Even as student debt increases. There is only a 2.1% difference in the homeownership rate for couples with bachelor’s degrees and more than $30,000 in debt (compared to those without debt). With a Master’s degree, there’s only a 5% difference in homeownership rates. Even when the student debt is over $50,000! A 2015 study by TransUnion also echoes these trends. The only group who saw a decline in homeownership rates are couples who have student loan debt and either no degree, or only an associate’s degree. There are some very real roadblocks in the way for would-be Millennial homeowners. Luckily some of the challenge also seems to stem from a lack of knowledge about financial options. For those struggling with other existing debt, look at what options you have for income based repayment or refinancing your loans for a lower overall debt-to-income ratio. If you don’t understand how much buying a house will cost in your area, you can use tools like mortgage calculators and “real-life affordability tools” to get informed. If you’re purchasing a home as a millennial with low credit you can apply for a Federal Housing Administration loan. They work with Americans who have low credit scores and small down payments. Other lenders are preparing for Millennial home buyers by offering conventional loans with 97% financing. Millennials should never assume they can’t afford to purchase a home! Roadblocks like low savings or bad credit may seem impossible to overcome. The first step is always to research your financing options. Hey, purchasing a home as a Millennial may be more affordable than you thought!